What Is the System File Checker, and How Do I Run It? - Ask Leo! The System File Checker is a little-known, simple-to-run command-line program. It validates that Window's operating files are undamaged. In order to prevent malware from replacing critical system components with compromised copies, Windows works very hard to maintain the integrity of the system files on your machine. If you try to replace one of the “protected” files, you may get a message that the operating system has put the old approved version back. That’s “Windows File Protection”, now called “Windows Resource Protection”. Unfortunately, there are occasional ways around system file protection. Sometimes it’s as simple as a hard disk error causing a system file to be damaged and become corrupt. The basic premise behind system file protection is that Windows keeps additional information about all the files that are part of Windows. That additional information could be (but certainly isn’t limited to) the date/time stamp of the file, its size, and its cryptographic hash. When files are “officially” replaced (or updated by Windows Update), this database of information is also updated to reflect the new official files. Every so often, Windows checks all those files to make sure they still match. That means that the time stamp, size, and hash value match what is expected. If they don’t … well, then something is wrong, and Windows will likely report the error. Malware. Malware was one of the reasons system file protection was implemented in the first place. Malicious software would inject itself into the system by modifying Window’s own files. System file protection detects when this happens. Set-up programs often replace system components with their own, sometimes breaking things. System file protection notices when this happens. So, what happens when a problem is found? The original file, used by Windows. Previous versions of the file saved by Windows Update, so you can uninstall specific updates if needed. Cached copies of the file, kept as a performance enhancement that loads the file more quickly when needed. Back-up copies of the file. It’s that last one that would be used to restore the file to its original state should something happen. In addition, many systems now include a copy of Windows on a restore or recovery partition, which can also be used as a source for retrieving original copies of files that need to be restored. When all else fails, the original Windows installation media might be used, if you have it. In all cases, the repair process also checks that the copy it’s restoring is correct. If it fails to have the expected information, it will be skipped. Because many of those sources are on your hard disk, malware authors attempt to replace or damage them all to prevent the repair process from working. SFC is nothing more than a command-line tool that checks that all of the files covered by Windows system file protection are as they should be, and to try to repair those that are not. It’s a good utility to run when you suspect system files have been somehow corrupted, or even if you just think there’s “something wrong” with your system. SFC requires administrative privileges. Right click on the start button, and click on Command Prompt (Admin). After confirming any UAC prompts, type “sfc /scannow” in the Command Prompt and press Enter. This causes SFC to scan your system immediately. SFC can take several minutes to run. If you have installation media, such as a DVD, you might have it available, just in case SFC wants to replace a damaged file. While it’s not documented anywhere, I’d reboot your machine if SFC replaces any system files. Why? I just like to be sure that the file replacement actually takes effect. Microsoft has more detailed SFC documentation, including more options to check at boot time, control the size of the system file protection cache, and so on. There is also Windows Resource Protection documentation, which covers the mechanism Windows uses to keep your system files (and a few other things) safe automatically. CHKDSK: What Is It and How Do I Run It? - CHKDSK, short for Check Disk, is a utility that checks the integrity of the files and file structure of your hard disk. I'll walk you through it. What do I do if SFC detects but cannot fix a problem? - Unfortunately, the full solution to this problem can be quite painful. We'll start with some easier fixes. « Previous post: So Just Why Are Manhole Covers Round? I have a simple problem – I type Sfc.exe in the run box and it “pops up” for a split second – then disappears!! Have tried many times. I am not a computer expert – so I’m not exactly sure EXACTLY what to type at the command prompt (the 2nd route I’ve tried). Microsoft website isn’t much help. should do the trick. If you’re having trouble, may be easier if you open a command prompt and do it in there, rather than the start-run box. 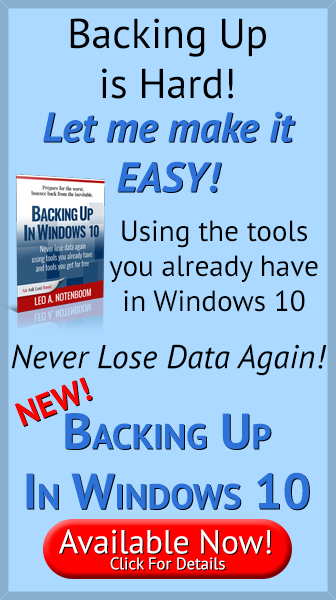 Windows File Protection could not make the requested change. The specific error code is 0x000006ba [The RPC server is unavailable. THE INSTRUCTION AT “0x7c9105f8” referenced memory at “0x01b60010”. THE MEMORY COULD NOT BE “READ”. I wanted to run SFC to check out a problem. Went to Run, typed in sfc/scannow and window box came back saying it cannot find sfc/scannow. Make sure I’ve typed correctly, etc. what has happened to that file? I recently installed, then uninstalled SP2, because I had all kinds of problems. Would that have anything to do with it? Leah: That second request for the CD should have included a BROWSE button that you should be able to use to locate the files requested. Thanks for you comment. I tryed again. Hoping that maybe I just missed it. I still didn’t see if, so i decide to take screen caps to see if I was being a ditz or if my program isn’t working right. Again, I want to say thank you for being such a great guy about this. I’m not to sure where to ask you…but…My computer is having a major problem…it seems to me to be the power…when turned on under 115v only the fan runs and the computer won’t even turn on…and on the rare occasion it does it freezes after about 2 minutes….under 250v it will run but only for so long before it shuts off completely…I’ve restored my hard drive a number of times. Could it still be a virus…or something else? Are you sure your power supply can handle both voltages properly? At any rate, it does sound like a power supply problem, and I’d probably start by replacing that. how are ya? My windows ME is in the safe mode. How do i get it out of safe mode to normal mode? Reboot. If it only boots into safe mode, there’s an error message somewhere along the way that tells you why. Correcting that error should resolve the issue. It probably tried to display an error message. Instead of using Start-Run, fire up a command prompt and enter the sfc command in it. That way if there’s an error message, you’ll see it and can correct whatever as needed. what do you mean “fire up a command’? In most cases you’d click Start, All Programs, Accessories, and then Command Prompt. Or, click Start, Run and then type in “CMD” and hit OK.
I’m not an expert on XP problems – just very familiar as I often push my PC’s to the limit. Anyway, I believe that you are not entering the full command line. If you just type SFC and then attempt to run it, nothing will happen as you haven’t stated any program options. …and then hit the OK button. What does this SFC do if a file was updated through a security update, or a service patch? will this restore the older file ?? gruebane: it should restore the updated software from an additional copy it installs on your hard drive when you installed the SP or patch. It should work either way … but whatever works :-). I have Outlook Express but I can’t send or receive any email. It always said the host POP3 couldnot be found. what is this and how can i corect it? Your POP3 server is part of the configuration for yoru email account. What server name to use should have been provided to you by your ISP. every time i try to log into my hotmail account I get the message “page can’t be displayed” or cannot find server. I need to check my email, it lets me put the email address in but it doesn’t load up the page. I need to get this resolved quickly as possible because I have important information I need to attend to. Thank you. Hi Leo, when I try to run system file checker a black screen comes up then instantly goes away. Please help. You need to run a command prompt (start, run and then type “cmd” and OK), and then run the sfc /scannow in the resulting command window. Well Leo explained very well. It is pretty simple and obvious to me. I ran SFC/scannow & expected a report when it was done – but none was produced. If a report was created, where should I look for it? the report is stored in the EVENT VIEWER and can be accessed through proper filters. am i wrong? Yep, I found scannow kept stopping and asking for the cd but clicking ‘retry’ each time and the scan progressed. After many stops (maybe 10+ mins)the scanbar reached 100% and that was it…no ok message . Assume no problems found ?! Ok, i run sfc, but the Command Prompt window appears and immediately disappears… What now? Is there any tool in the web for checking the File System??? Open up a separate command prompt window, and then type the SFC command in there. Will this have affect to the Windows File System ONLY? I mean, will it maybe be important to reinstall some of my programs? The System File Checker only checks files that are part of Windows. Other programs are not checked. Help, my Folder Options in the Tools menu of Windows Explorer has disappeared. I am using WinXP. This has occurred before and I got the remedy from Comp Active mag but I seem to have lost it. Can anyone please help me to restore this option. I remember it was quite simple really!! Thank you for all the advise you give it’s so helpful and welcomed. I tried to do ‘press Start, Run, and then type in SFC’, and I could see the black DOS box flicker on and then back off so fast it would make your head spin. I tried once more after 10 mins. and it was the same. Any suggestions please? While your site was a help it didn’t fix my problem. Everything refers to the installation of Win Inst 3.1 but no one every mentioned going into Control Panel, Adm. Tools, Dbl Clicking Services, going down to Windows Installer, make sure it’s in manuel and then in the upper left corner of you screen click on Start. Now it works. When trying to run system file checker i get an error message that states it cannot be found. help!!! what can I do?? I think I need you to be more specific about the error message. What can’t be found? SFC? How are you running it? When I try to run the System File Checker as outlined above, I get an error message stating that Windows cannot findSTC/scannow. What do I dO? It’s SFC (not STC) and there’s a space between SFC and /scannow. Nothing happens when I type in SFC. A blackbox comes up and dissapears quickly. What can I do? please follow the steps mentioned in the article ‘as verbatim’. you are running sfc from ‘run’ while the article clearly asks you to run it from the ‘command prompt’. For those who are having the “RPC server is unavailable” problem with sfc, the following registry edit / path variable fix may help. This is designed to fix the windows help and support center if this has stopped working, but in my case, also solved the sfc issue. > > DELETE the existing windir value. > > first time in recent memory. I had the same problem, i.e., SFC not running as it should have. In XP SP2 (and all XP should have SP2) there is a repair and maintain instruction on Microsoft info pages. Look for it under Windows Repairs. Run it according to their instructions. You will need your Windows disc and patience. Run that, then cut and paste Leo’s coding for SFC in the Run box. Works like a charm. I get the message “missing dll” when starting up. I am going to try this to see if I can correct this problem. Also, today, I have had the BSOD (blue screen of death) twice. Am considering purchasing SpinRite. Hope I am computer savy enough to run it without making things worse. Thanks for your advice. Thanks for the tip w/ sfc. Another bit of info to add to this would be how to pull it up if the start bar is missing. I found by going into the command prompt and typing sfc/runnow i was able to scan withouth goingting through the ‘run’ option. I tried at least ten times to enter sfc/scannow & sfcscannow in the command line and it cannot be found. I guess that won’t work for me……What will??? I am having a problem with my check. First when i secdule a task(the one that requires you to restart your comp) it stops at 2 percent and never continues.) however, when i do the one that doesnt require you to do that its works perfectly fine. IT did mention something about Found folder. Any suggestions? I tried running the sfc and was unable to. This is the error message I have received when opeing OE. Nothing I do seems to fix this. SFC is still the answer. What does “unable to” mean? Then, my windows explorer is giving me a really hard time. It now does not work. So, I cannot access the ” My Computer ” Folder. What do i Do? does the SFC thig resolve these issues? -Reboot your PC, and after the BIOS screen keep pressing F8 to get to the advanced boot menu. This will scan your hard drive for errors in the FAT (File Allocation Table). It will perform a physical scan of your hard drive and attempt to repair any errors it finds. The logic behind this step is that the SFC /SCANNOW won’t run properly b/c it cannot actually access the files on the hard drive. console as well, if things aren’t working for you. stops with the error message that the windowssystem32configsystem file is either missing or corrupted. The file exists and is about 5 meg, so it must be corrupted. however when I use the original OS CD to boot and get to a command prompt with the “r” recovery option, the sfc.exe is not an available file to run. Is it on the OS CD? command is useless. No START RUN available !! What am I missing? If it can’t be run from the Recovery Console, then you should tell your readers that for 95% of the time they can not fix a computer that is stuck because of a corrupted file. Is there a potential problem when using SFC and you have updated your system with various service packs. It seems like some of those critical system files would have changed, and there you are putting in your ORIGINAL install disk with “old” system files on it. When running system file checker use:sfc /scannow. Be sure you leave a space between the c and slash. I just successfully ran System File Checker on my custom built PC using my Windows XP Home Edition master disk. Interestingly, the disk would not run in my CD drive, but ran perfectly in my combination Benq DVD writing drive. After the System File Checker ran, I saw no error messages. I have been trying to solve a problem, trying to determine why my front USB ports have stopped recognizing my Digital Concepts card reader/writer. I have my Windows XP Professional on a DVD. The SFC runs close to the end and then asks for Windows XP Professional CD2. I don’t have a second CD since it is on a DVD. I click Retry and it doesn’t accept the CD. How do I get around this? I recently had a nasty Trojan called Prunnet.exe. I used various programs to attempt to remove it, which i think has been done successfully. Anyway, after running the anti-virus/anti-malware programs, I’ve been getting error messages, and once my computer shutdown because some vital system processes were not running. I think that the anti-virus programs may have deleted some system files, so i ran system file checker. After the scan, the scan completed (to my knowledge), but the small “windows file protection” window disappeared. Does this mean that all the system files are intact and undamaged? Unfortunately there’s no way to know. This article discusses: My anti-virus performed a virus removal but I still have a symptom, how do I get rid of it? …hey, mr. leo… i dunno if this is a virus or what, my laptop got an autorun thing… and i can’t delete it, i have an anti virus here but that autorun thing keeps invading my file, even my usb and cp were infected… what should i do>? I just found this site and so I’m new to finding information here. I was wondering if Mike Creel’s question posted on 1/28/08 has been answered and if so it would be great to read it. His question applies to me as well. I have only the original XP Pro CD. Usually this is useless because if I try & use it my system always says “the installed version is more recent”. So for just about EVERYBODY, who has the nearly 100 XP updates, including SP2 & 3, surely the advice you offer, to try & use the original CD is useless. This is the second comment on this topic which I hope you see fit to address. I Secode Peter Owens Comment from March 1ST 2009. Please address this issue Leo. Leo, I installed IE 8 on my XP mach. Didn’t work. Removed it and IE 7 wouldn’t work. Removed it IE 6 worked. Reinstalled IE7 and all fixes & SP3. Works fine. Outlook Express now has a prob. Cannot open any links from outlook. Ran SFC /scannow. Ran to completion no problems. OE still not working for links. Any ideas? I ran SFC /scannow. Window pops up saying – Please wait while Windows verifies that all files are intact and in their original version. When that got done, window went away. I didn’t see anything happen after that, so I tried running SFC ‘scannow again, and same window came on saying the same thing. What and how do you scan? You just did. If SFC finds no errors that’s how it behaves. i have vista and i’m pretty sure i have a virus i can’t get rid of. i keep trying to open up SFC but it suddenly appears and disappears. what does that mean/what should i do? Have a look at this article: When I use Start-Run and type in a command, why does a window just flash and disappear? when running SFC scannow, with the right XP SP3 CD in the CD-ROM drive, a window appears repeatly saying” Files that are required for windows to run properly must be copied tp the DLL Cache. Retry, More Information, Cancel”. Answering “Retry” makes drive light to twickle and the progress bar to go up a little until this window strikes again. “More Information” reports the following:”Possible reasons for this problem: 1.You may have inserted the wrong CD. (i.e., a different windows product CD than the version installed. 2. The CD-ROM drive in your system is nor functioning”. I confirmed that the CD is the right one and is updated to SP3 such as the version installed in the PC. After hundreds of retries the process ends up apparently well i.e. without further infornation. Can you realize what’s up? I have only the original XP Home ED. CD. It is useless to run “SFC /scannow” because if I try & use it my system always says I have the wrong CD inserted. So what is my option when I have upgraded to SP3, then installed multiple updates? I don’t want to run a repair install. I tried this once before with another problem. It installed original files which clashed with the Windows Updates. My OS was totally hosed. I want to obtain or reinstall the Search helper files which have suddenly gone missing. How do I get up to date ones ( or ones that are compatible with all the Win Updates?) using SFC? Hi Leo! I have had a problem with two computers in my home that I am sure is related to one of the sites I visit. As I only access approximately 10-15 total sites and am the only user, a virus seems the only possibility. 98% of the time, when I power up my monitor times out like it is recieving no video input. I have run “sfc /scannow”, but there have been no errors found. Since it has happened with both systems, I am sure I have a virus, but have no practical knowledge of what virus/virus(s) I may have, I have no idea how to proceed. Any suggestions? Ran SFC /scannow. Used original setup disk. Got a message that I needed setup disk 2. Hence this action did not solve my problem. I am going to the microsoft blog via an alternative browser. I remember seeing a wordperfect version of a fix to the problem. I don’t have the servise pack 3 cd I downloded it from windows update. I have servise pack two what do I do Leo? i just ran system file checker on a ubuntu/winxp system and upon reboot, am receiving error 17 from GRUB. i would never have run this utility if i had known it could interfere with my setup. you should have mentioned the possible danger to dual boot machines. do you have any advice on fixing this? Sorry, no. I think it’s highly unlikely that SFC did this. It just checks windows files and shouldn’t be poking around outside the Windows partition when it’s running. Hello Leo! Your newsletter is great! Now to the point. OS = Windows XP Home. I ran SFC /scannow and experienced the same as another poster – repeated msg asking for the CD. Took many retries. Window disappeared when bar reached the end. You state that is the way SFC act if it finds no errors. My system still does not work properly. Cannot access my Inbox email (can’t receive mail, but can send). Also, I cannot perform Restore actions. Msg keeps saying to pick a different date. This tells me that files are either corrupted or missing. to the one with the error 17 message in grub… Error 17 usually means that grub cannot find it’s menu.list file. Get a copy of the Ultimate Boot CD and it can restore grub automagically. I am using what I think is Windows 2009. I moved from Texas to Louisiana and suddenely my midi file folder in outlook express has disappeared. It contains midis that I have collected for years to send out with my emails. Can you tell me how to and/or where to find it along with instuctions. The SFC did work. Thanks. For all of you who get errors from trying to run from the disk, it is because the Windows CD is not updated to the proper version. Most likely, it is SP1, and you need to have an SP2 CD(or SP3, etc.). Google “slipstream Windows CD” and you’ll probably find what you need. It tells you how to make your SP1 CD into a SP2. I used the SFC /scannow and nothing happened, it didn’t even give any kind of error nor message. Does that mean there is nothing wrong with my files? Thanks if it will work. I ran this in the cmd box.. it asks for my win sp svc pak 2 cd.. which i dont have, since my win xp has upgraded itself via internet. what can i do? I have Windows XP Service Pack 3. My Windows Update is not working. I have tried everything that Microsoft recommends but no luck. I ran SFC/scannow, and it said my files have to be copied to the DLL cache. I did not receive a Windows Installation CD with my computer, so I am stuck and have no idea what to do. when i typed sfc scannow,there is a message window cannot find file.my problem is when windows page load it stop.sometimes it load normally,most of the time i go to safe mode,then shut down,then restart. it works. it is annoying.please help. I run SFC fairly ofter, because I have plenty respect for it. It is one of the few tools to my knowledge which corrects errors in the operating system, which I seem to have too often. Is SFC supposed to run while one is in Safe Mode? If so, can you explain what issues may be keeping it from running in Safe Mode? hi, i can not open my internet explorer,what can i do? Depends entirely on what happens when you try and your OS version. Are you up to date? Scanned for malware with up to date scans? Not nearly enough info for me. I have tried running SFC but it asked for CD & then said it couldn’t proceed as the operating system on the CD was older than the one on the computer. How can that be and what can I do about it please? How does the SFC handle an OS that has been service pack patched. Example: cd is XP sp0 and system is now on xp SP3? It typically refers to the original location of the service pack files, or it asks for that location if needed. There are also some scenarios were it doesn’t work. I was working on my computer one day, took a break and came back. My background was all that was on my desktop. I thought I could find the problem by using SFC but have never used it before. When I entered the command what I got was an instant entry of c:Documents and settingsadministrator> and a blinking cursor. What does this mean? I am assuming I have some registry error but how do I find out exactly what it is and how to correct it? I tried this to try to resolve a USB issue, but when it asks for a CD, there is no way to put in a system path. Therefore I can not continue as the CD that came with my Computer doesn’t work either. 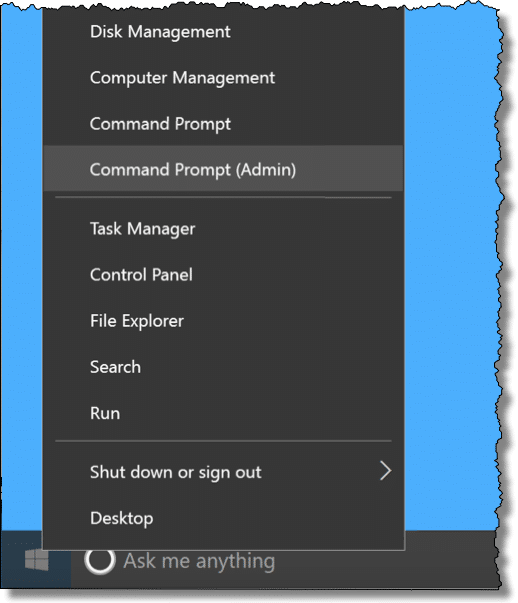 Run the command prompt as administrator. More here: Why does my computer say I need to be administrator, when I am? This happens if you are running Windows 7. It’s the User Account Control protecting you computer against unauthorized access. To get around this click on the Start Button, select All Programs, scroll to the Accessories folder, then right click on Command Prompt and select Run as Administrator. You the MAN,man.Check this guy out,he’s absolutely awesome!!!! You didn’t explain how to run SFC from a command prompt but Heidi did in her comment. I ran an sfc /scannow twice after copying i386 folder to my C: drive to check for errors, and both times it’s filled up my HD up to 2G worth of space. Is there a way to delete this built-up cache of files? Thanks, Leo! When system file checker runs and everything is ok does it return a report? My videos downloaded from a hand held Flip/ Cisco camcorder got corrupted…I system restord to week ago+they play only if I open menu on the file+scroll to “Play on my Acerx193w”…double left click on file will default to first one played by double left click. Help? First off. BIG THANKS, LEO, for being retired and STILL giving back to others. Is it possible to set up Win7’s Task Scheduler to run SFC automatically? Can SFC be used for repairing an “altered” appwiz.cpl in Windows Xp SP3? Altered means that i see all programs installed but i cannot change/uninstall the majority of them from within the appwiz.cpl. I can just see the entries the name but no possibility for change/uninstall. I don’t understand the scenario you’re describing well enough to say yes or no, but I will say SFC shouldn’t hurt anything so why not give it a try. And of course, be backed up completely first (and always). Hey, my start bar hasn’t appeared so how exactly can I get to it? I googled my problem, and your site come up. I get random windows message at no particular time it’s 2 windows once says copying, the other says to confirm file replacement, you can click yes, no, yes to all, or cancel. or x out. I’ve looked everywhere and cannot find this message, have no idea where or why i get it or what it means. That almost sounds like you are clicking on something and giving the computer a copy command. It might be accidental keystrokes you are doing. Sometimes mice are very sensitive, and trackpads on laptops can do various commands which catch you by surprise. So try to notice what you are doing with the windows pop up. Just a possibility. I’d need the exact text of the error message. WINDOWS SEARCH CANNOT FIND THE FILE BUT SURE WINDOWS ALWAYS GAD PROBLEMS EVEN FINDING ITS OWN DERRIERE….. I have Windows XP pro but when I tried to run the file checker it asked for my Windows CD but would not accept it, even though it had SP3 on it. After much trial and error here is what worked for me. Copy the I386 folder from the Windows CD onto C:\. Next click on the Start menu than Run. In the Run box type regedit. This opens the registry. You will see two lines that need to be changed. They are Servicepacksource and sourcepath. Double click on each one and change the value to C:\ and press OK after each item. Get out of the registry and reboot. In the run box type sfc /scannow. My computer than ran the file checker. It took about a half hour. Once completed, I rebooted and got into Microsoft update. Because my Windows CD is a few years old and does not reflect all the updates since, I thought that there would be updates but there were none. For those people who do not have a Windows CD, I googled “free downloads i386 for windows xp sp3”. There appeared to be a few websites that offered the download but a couple of times my virus checker wouldn’t allow it, so be careful. I didn’t actually download any files since I already have a Windows CD but if your desperate this maybe the way to go. First of all: SFC can run in it’s own window, so when it cannot find the file it needs: open up another explorer window and do a full system search for the exact file it is looking for. Many times SFC does not search “everywhere” for the file it needs. If you can find the file it needs,: switch focus back to the SFC window and tell it where the required file is located…SFC will continue in it’s search for the next file it can’t find and halt again..repeat the process until all it wants is satisfied. Sometimes one may even have to insert a CD or DVD that has the required file….no concern, SFC window will wait for you to find it! Kinda painfull, but it works to verify that all your system files are correct as far as SFC/WFP is concerned. Similar to a lot of the other apps MS provides, there are many glitches in running SFC, chief of which is that the updated versions of the system files do not relate to what one has on their installation CD. As a consequence of this, I have found that running SFC is virtually worthless. in win 10, win logo + x, to get to command prompt admin. Thanks Glen for the tip! I’d like to know if there is a resource that would provide other tips of it’s kind, any suggestions? You state that we should have installation discs handy. I got windows 10 courtesy of a free download provided by by MS to update from Windows 8, can I still make fixes / repairs? That should work. That’s one advantage of upgrading to Windows 10 that isn’t discussed enough. For people who didn’t get installation media with their preinstalled versions of Windows 7&8, we now have installation media. Theoretically, yes. You may have to download the ISO for Windows 10, but it should still be quite possible. I was wondering i am not an advanced user. would I be able to Run SFC, the System File Checker. Open Powershell. Right-click on thee Powershell icon in th Taskbar. Select “Run as administrator” from the pull-up menu. Click on Yes in the UAC prompt. Type sfc /scannow. I have used a paid software called Reimage which seems to automate the process of SFC and replaces any corrupt files with its own data base of good system files. In the course of doing it, it also does a few other cleanups like malware etc. It seems to work (at least not getting my system to an unbootable state) although I cannot tell exactly what files, if any, it has changed. The initial scan almost always says I have Windows damage. Can you do a review of this software or comment on it?